Accidents can happen at any moment or at any place. Just a bit of carelessness can result in serious accidents. After the occurrence of an accident, you often wish that you can roll back this situation. An accident can be of any type whether sending a wrong e-mail to the boss or a collision on the highway. Believe me, both can be dangerous. Fortunately, now you have an opportunity to roll back the first situation where you have sent a wrong e-mail to your boss. Yeah, it’s true, Gmail gives you an option to undo the sent mail. Now you can edit your e-mail even though you have already clicked on sent button. Let’s discuss in detail how you can do that. You are writing an important e-mail to your client in which you are describing a product. After the completion of e-mail when you click on sent button, you suddenly realize that you have missed describing a key feature of your product. Now you do not want to resend the mail as it will not make a good impression on the client. But if you do not resend the mail then the client remains unaware of that key feature of your product. Now you remain in all sort of dilemma that whether to send the e-mail or not. 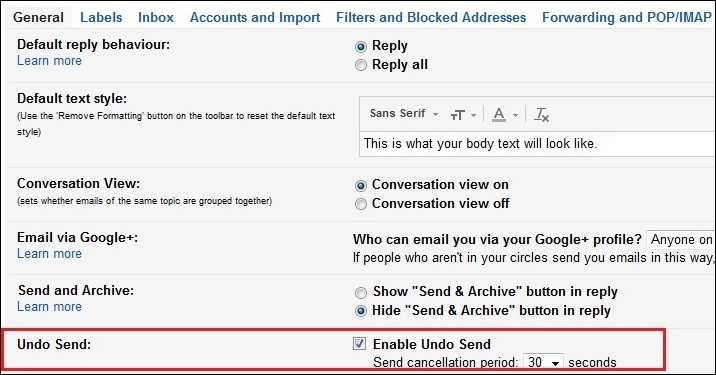 However, Gmail has now added an important feature which helps you to undo the sent mail. You just need to follow some basic steps given below and then you can undo, delete or edit any sent mail. Login to your Gmail account and click on that gear icon at the top right corner of the screen. Now from the drop down list click on Settings. Now click on General tab and find the option of Undo Send. By default, this option remains unchecked. You just need to check the option of Enable Undo Send. Now in the Send cancellation period option, set the time duration i.e. total seconds you wish to prevent the email from being sent. You can let the maximum time of 30 seconds. Now click on save button at the bottom of the page. Now to test this feature compose an e-mail and click on send button. Once the mail is sent, you will get an option to undo the sent mail. In case you want to make changes in your e-mail then click on undo, make the changes and again click on send button. Also read: What is an Email Thread? Whenever you sent an e-mail, it is instantly sent to the other person. 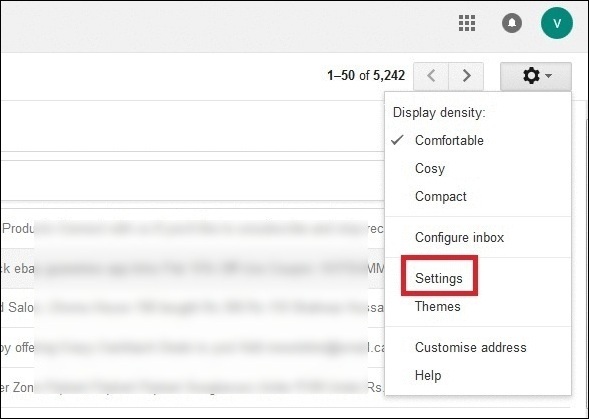 However, if you have enabled the “Enable Undo Send” option then instead of directly sending the e-mail to the recipient the message will remain stored on Gmail server for few seconds. (The time limit which you have decided). In that time, you have an option to undo that e-mail. However, as every feature has some limitation, this feature also have a limitation that it can only delay the mail for 30 seconds. So now after reading this article, first of all, enable the “Enable Undo Send” option, if not already done, because once you have enabled this option, you can undo any e-mail any number of times even though it is sent from your side. However just remember that margin of 30 seconds!